This is so beautiful! I wish I knew how to sew and make gorgeous things like this! 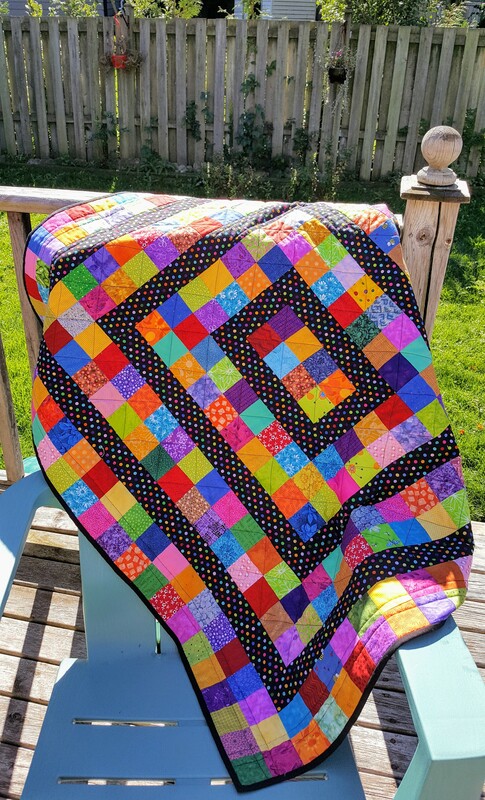 What a happy, bright quilt. I love the black dot on the top and back of the quilt. It really brings out the bold, bright colors. 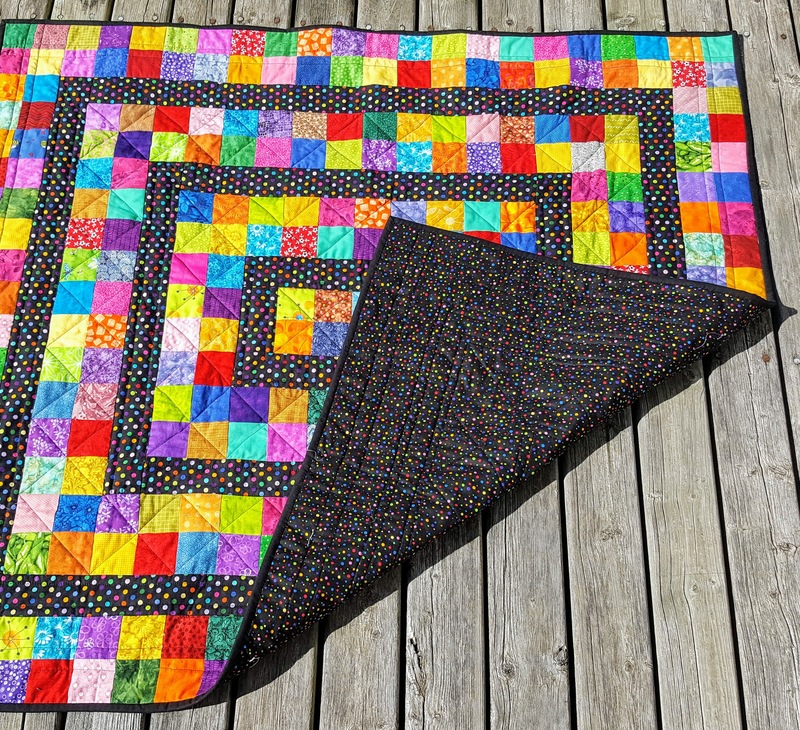 Love the way you have added black strips to this colourful quilt, it is just gorgeous! Love this, especially the bright colors and the perfect dotted fabric on black – nice! This is a colorful beauty. Enjoy it.